Not long now before we celebrate the day parliament was saved from the gun powder plot and Guy Fawkes was… well, you know. Sussex is the place to be on 5th November with the most spectacular and committed bonfires, parades and fireworks in the whole country. This year bonfire night lands on a Saturday so there’s never been a better time to fill up on mulled wine, light your sparklers and spend a day oohing and aahing. 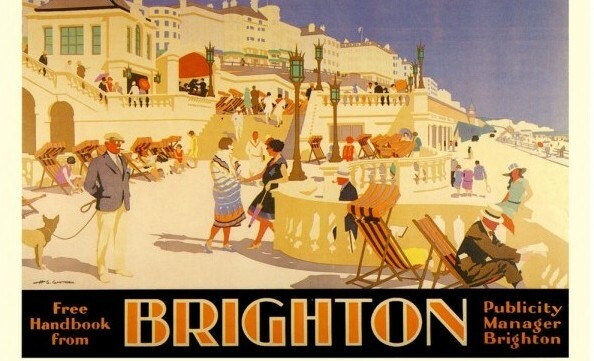 Just 15 minutes train ride from Brighton you’ll find the king of bonfire nights. 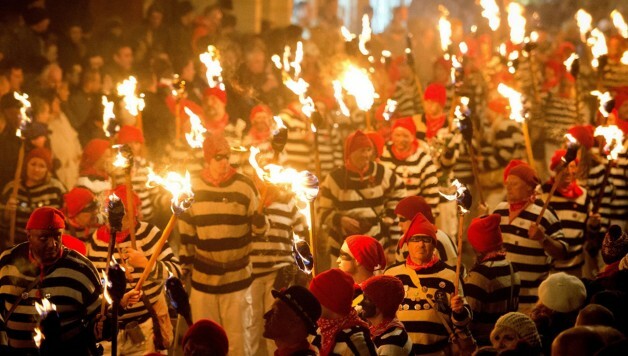 The peaceful county town of Lewes transforms on 5th November into the biggest bonfire celebration in the UK with thousands descending from Brighton, London and beyond for an evening like no other. After the main procession, Lewes has many different bonfire and firework displays (some of which cost) so make sure you know where you’re going first. Expect a lantern parade, live music, street food, entertainment, all the fun of the fair and a truly awesome firework show from the end of the pier. This award winning event is run by The Lions International Club raising much needed funds for local causes. The display is produced by the award-winning team from Brightfire Pyrotechnics, silver medallists in the 2015 British Musical Firework Championship, and is choreographed to a fantastic musical soundtrack. Once again there’s a stunning fire dance show from Poi Passion at 6pm. Food stalls will be open all evening, and glow sticks and flashing toys will be on sale. Dubbed one of the best Fireworks displays within the county, this family friendly fireworks evening is a great way to celebrate Guy Fawkes Night. The Sussex Cricket Fireworks Night, presented by Domestic and General, will be raising money for local charities with a spectacular night, including the massively enhanced pyrotechnic display from Aurora Fireworks and plenty of entertainment in the build-up. The 2016 Shoreham Beach Family Bonfire and Fireworks promises to be another great fun night out, with a samba procession, face painting, Heart FM Angels givaways, a big beach bonfire, fireworks and performances by Shoreham Allstars. Enjoy all eight Shocktober Fest Haunted Attractions and then the most awe-inspiring ‘Fireworks to Music’ show by Dragon Fireworks. 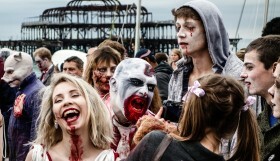 Great food, bonfires, fireworks, street theatre, and frights – if you want them! The largest of the Lewes satellite celebrations, East Hoathly bonfire always takes place the first Saturday after 5th November and commemorates those who perished in WW1 rather than the thwarting of the gun powder plot. This event is famous for its beautifully sculpted bonfires and attracts a large crowd. Roads close at 5pm so be there in good time. From morning till night Battle throws a classic local bonfire celebration. Starting with the ringing of the church bells and a kids procession and a Guy Fawkes contest, the day leads through to the evening bonfire burning and fireworks display with any donations given to charity. Roads close at 6pm. Chailey Bonfire society is celebrating its 50th year and promises an extra special procession and fireworks display for the big anniversary. The night is designed as a family event to celebrate the 5th November in a fun and safe way. The torch lit procession usually comprises of steam engines, vintage vehicles and themed children’s floats. Like East Hoathly, Chailey holds its celebration on the first Saturday after the 5th.